​Barcelona midfielder Sergio Busquets has reassured fans that he doesn't believe Lionel Messi suffered a broken nose during Wednesday night's narrow Champions League over Manchester United. 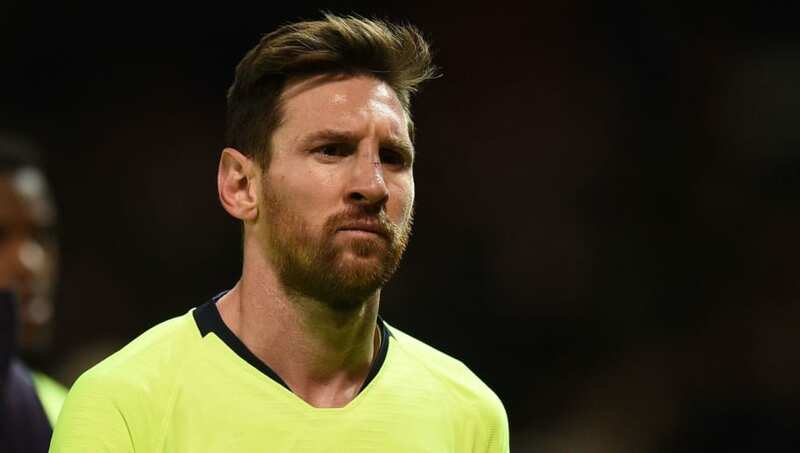 Messi was unusually off his game on the night, although he still provided the game's only assist, and a heavy aerial challenge from United defender Chris Smalling left the five-time Ballon d'Or winner with blood pouring from his nose. The 31-year-old was treated on the field and looked a little shaken and bruised, but he was able to continue and Busquets reassured Barça fans after the game. "I think the nose is not broken but it is true that he took a big blow," Busquets was quoted as saying by Mundo Deportivo as he spoke after the final whistle. "He has a wound that bled a lot and I do not know if he has a break or not. And then on the eyelid there was a cut. "In the end it is uncomfortable and difficult to play, but Leo has shown his face and has always been on the field and he has done it in the best way, as he always does." Barcelona are due to travel to bottom place Huesca in La Liga this weekend. Given their comfortable 11-point lead ahead of Atletico Madrid in the title race, it wouldn't be surprising to see Messi and others rested, with a view to being fresh for the second leg with United. That game will take place at Camp Nou next Tuesday night.